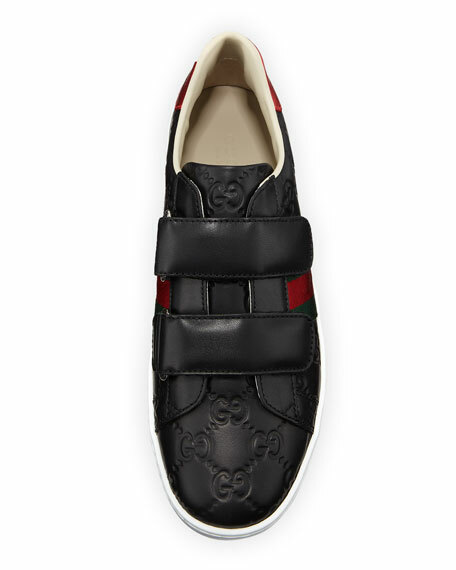 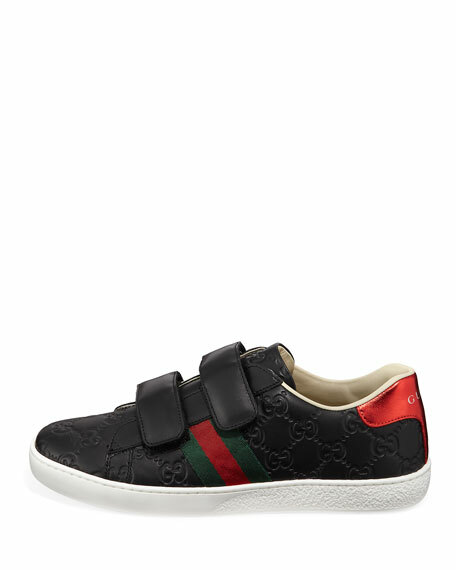 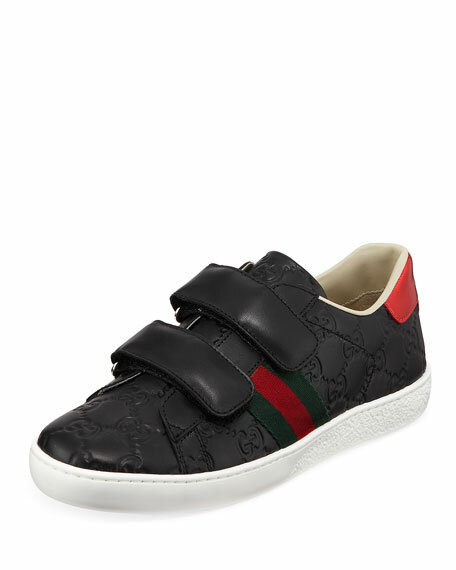 Gucci sneaker featuring GG Supreme leather. 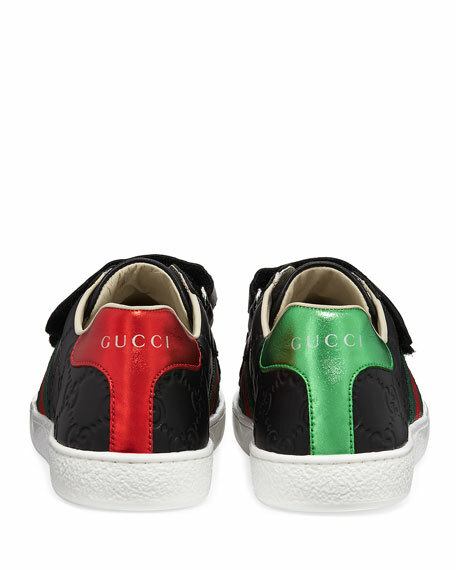 Red and green contrast heel counters with embossed logo. 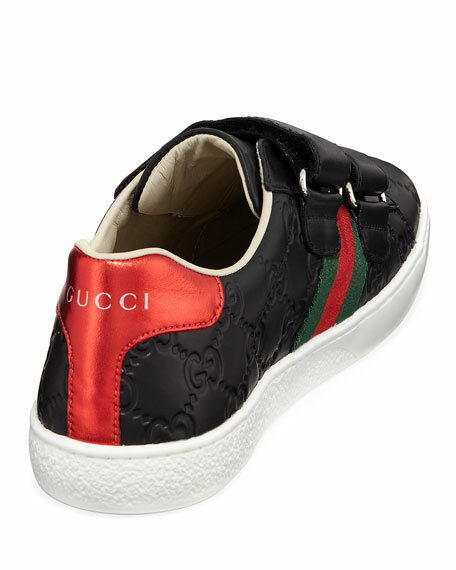 For in-store inquiries, use sku #2405249.